With over 50,000+ flight hours between us, we have all the experience that makes a difference. From booking to flying, you are surrounded by years of experience. Richard Simpson is the General Manager for Aero, joining in 2015 after 20+ years in the aviation business. Prior to joining Aero, served as the Senior Vice President of Heliworks, Inc., handling all 135 charter operations for both helicopters and fixed wing aircraft. John earned his private pilot certificate in 1979 flying a Grumman Yankee and is also an accomplished sport parachutist. John has logged 600 free fall parachute jumps, holds a USPA Expert D-license rating and was also a certified Jumpmaster. After graduating from Wichita State University in 1984, John was commissioned in the United States Navy through Aviation Officer Candidate School and underwent Naval Flight Officer training receiving his Naval Flight Officers wings of gold in 1986. John then traveled to Naval Air Station Miramar in San Diego to train as a Radar Intercept Officer in the F-14 Tomcat. John served in numerous fighter squadrons through 1998, was an F-14 instructor and is a 1989 graduate of the Naval Fighter Weapons School “Topgun”. John’s other military assignments include the Air Command and Staff College, United States Space Command, USS Constellation, Naval Aviation Schools Command, and the Naval Education and Training Security Assistance Field Activity. John earned a master’s degree in Human Resource Management from Troy State University in 1996. During his 26 year career in the Navy John accumulated over 2700 hours as a Naval Flight Officer. In 2002 John earned multiple Certified Flight Instructor ratings and is qualified to teach in both single engine and multi-engine aircraft for all airplane fixed wing pilot ratings. 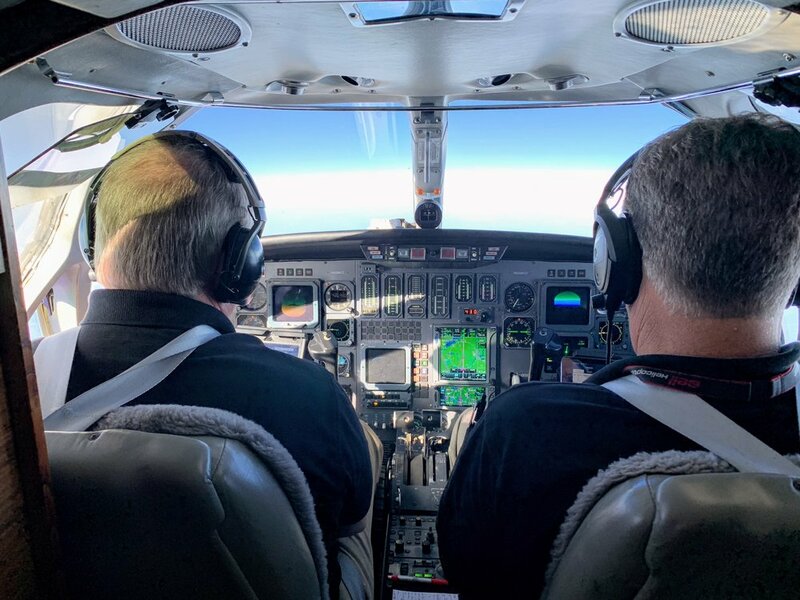 Later, John was also selected by the FAA as a Designated Pilot Examiner (DPE) for certifying new pilot applicants for all fixed wing pilot ratings. John retired from the Navy as a Commander and in 2011 and began flying for Lifeguard Air Ambulance in Pensacola as a single-pilot captain in a King Air B-200. In 2014 Lifeguard was sold to EagleMed Air Ambulance where John continued flying King Air aircraft. In 2017 John accepted a position as a Captain flying the Citation V with Aero Capital Flight Services which is now Aero Air Charter. During his off-time John is a part time flight instructor at Ferguson airport giving tailwheel training and basic aerobatics training. John serves on the Board of Directors and is an instructor at the Pensacola Navy Flying Club. John also flies his own personal “V-tail” Bonanza. He has logged flight time in over 68 different models of aircraft and has accumulated over 7100 hours as a civilian pilot. Paul spent twenty-six years as a U.S. Customs Pilot/Officer before retiring in 2014. During his U.S. Customs career, Paul served as Safety Officer, Instructor/Check Pilot and Maintenance check pilot. He also conducted more than 40 Pilot Applicant interviews and Flight evaluations for the Customs Service. While with Customs he attended and completed the Aircraft Safety and Accident Investigations course at the University of Southern California, and the Operational Test and Evaluation course at the National Test Pilot School in Mojave, CA where he received his certificate. He also completed the MQ-9 Predator drone ground school in Grand Forks Air Force Base, ND. Paul has been attending annual Flight Safety simulator training courses throughout his entire flying career. He graduated from Northwestern University in Natchitoches, LA with B.S. in Aviation. Currently holds a Multi-engine Land and Sea, ATP and Certified Flight Instructor Instrument ratings. With more than 14,000 hours flight time, he has extensive experience piloting a variety of aircraft including …..Cessna Citation V, Beechcraft King Air, Cessna 185 amphibian, Piper Navajo, and high performance single-engine aircraft. His first and favorite aircraft flown is the G44 Grumman Widgeon. He has been with Aero Capital since 2015, he is a Captain on the Citation V.
PENSACOLA, Fla., April 17, 2019 /PRNewswire/ -- Aero Air Charter, Pensacola's premier jet charter service, together with Hangout Music Fest, has created an exclusive festival package that will deliver attendees to Hangout Fest and back, in style on their own jet charter.